In the early 90s when I was undergoing Defence Services Staff College Course Maneuver Warfare was one of the most discussed topics. A hand out was also made and given to every officer undergoing the course. It was a well written document. However, I have not seen any doctrinal publication on Maneuver warfare either from Military Training Directorate in earlier days or from ARTRAC. It was or is, I suppose, discussed in DSSC Wellington and that’s about it. Probably it will have some mention in courses conducted by Armd Corps School or Mech Infantry School at Nagar. In our infantry dominated mindset Maneuver is somehow linked to Mech Forces! 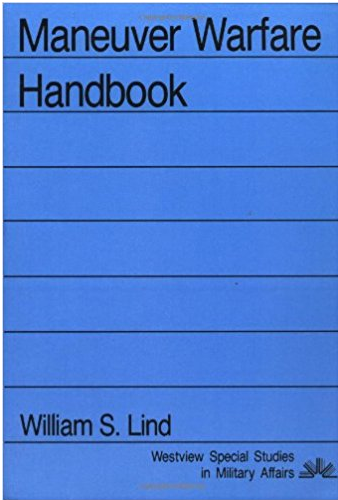 The bible for the Maneuver Warfare was Maneuver Warfare Handbook by William S Lind published in 1985. The purpose of Maneuver Warfare is to defeat the enemy by disrupting the opponent's ability to react, rather than by physical destruction of forces. 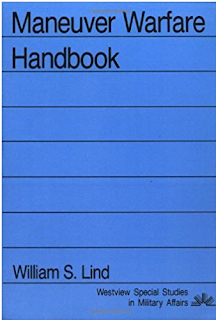 This book develops and explains the theory of maneuver warfare and offers specific tactical, operational, and organizational recommendations for improving ground combat forces. The authors translate concepts into concrete doctrine. Although the book uses the Marine Corps as a model, the concepts, tactics, and doctrine discussed apply to any ground combat force. 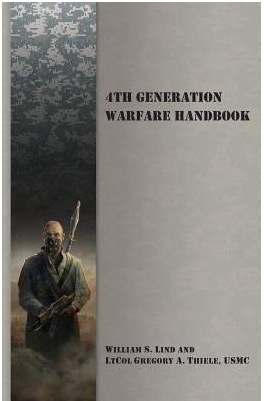 In 1989 William Lind propagated the theory of Fourth Generation Warfare (4GW). He said, In Fourth Generation war, the state loses its monopoly on war. All over the world, state militaries find themselves fighting non-state opponents such as al-Qaeda, Hamas, Hezbollah, and the FARC. Almost everywhere, the state is losing. Fourth Generation opponents will not sign up to the Geneva Conventions, but might some day be open to a chivalric code governing how our war with them would be fought? It's worth exploring. What kind of people do we need in Special Operations Forces? Minds were more important than muscles, but it is not clear all U.S. SOF understand this. Unfortunately, the American doctrine of "force protection" works against integration and generally hurts us badly. While war against another state may be necessary one should seek to preserve that state even as one defeats it. Grant the opposing armies the 'honors of war,' tell them what a fine job they did, make their defeat 'civilized' so they can survive the war institutionally intact and then work for your side. Humiliating the defeated enemy troops, especially in front of their own population, is always a serious mistake but one that Americans are prone to make. A faculty member at the National Defense University wrote to Marine Corps General Mattis, commander of I MAR DIV, to ask his views on the importance of reading military history. Mattis responded with an eloquent defense of taking time to read history, one that should go up on the wall at all of our military schools. "Thanks to my reading, I have never been caught flat-footed by any situation," Mattis said. "It doesn’t give me all the answers, but it lights what is often a dark path ahead." We are not saying that Fourth Generation tactics are new. On the contrary, many of the tactics Fourth Generation opponents use are standard guerilla tactics. Others, including much of what we call "terrorism," are classic Arab light cavalry warfare carried out with modern technology at the operational and strategic, not just tactical, levels. What will characterize it is not vast changes in how the enemy fights, but rather in who fights and what they fight for. The change in who fights makes it difficult for us to tell friend from foe. A good example is the advent of female suicide bombers; do U.S. troops now start frisking every Moslem woman they encounter? The change in what our enemies fight for makes impossible the political compromises that are necessary to ending any war. We find that when it comes to making peace, we have no one to talk to and nothing to talk about. And the end of a war like that in Iraq becomes inevitable: the local state we attacked vanishes, leaving behind either a stateless region (Somalia) or a façade of a state (Afghanistan) within which more non-state elements rise and fight. Since the publication of the original article in the Marine Corps Gazette, three things have happened. 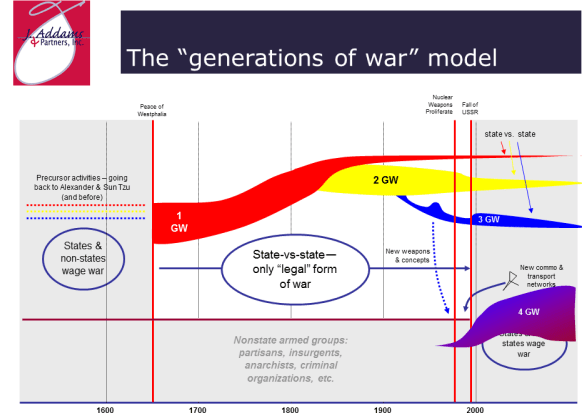 First, events have justified the article’s description of the Fourth Generation as war that escapes the state framework. The high-tech alternative, which became known subsequently by a number of buzzwords — the Revolution in Military Affairs, Transformation, Net-Centric Warfare, etc. — is not where war has gone. Most of the high-tech systems we continue to buy have proven irrelevant to fighting non-state forces. Second, the theory of 4GW has been expanded and refined, a process that will continue. The most important addition to the theory has been Martin van Creveld’s book, The Transformation of War. Tom Hammes’s book, The Sling and the Stone, has brought confusion to much of the discussion of 4GW because it gets the Fourth Generation wrong. Insurgency is not a dialectically qualitative change in war. It is merely one way in which war has been fought for a long time. As van Creveld puts it, 4GW is not a change in how war is fought (though it brings such changes) but in who fights and what they fight for. That is a dialectically qualitative change, the biggest since the Peace of Westphalia in 1648. When we think of ISIS’s enemies, we usually list religions other than Islam, Islamics who reject Sunni puritanism, local states, Western states and so on. But from the perspective of Fourth Generation war theory, ISIS’s most important competition may be with Hezbollah. These two Islamic Fourth Generation entities represent two different models of 4GW. Hezbollah’s model hollows out the state where it is based but leaves it standing. The ISIS model does away with the state and creates a replacement in the form of a caliphate, which is a pre-state type of government. In contrast, the Hezbollah model uses a hollowed-out state to shift the conflict away from the tactical/physical box to 4GW entities’ greatest strength, the box marked strategic/moral (Col. John Boyd argued this is the most powerful box, while the tactical/physical box is the weakest in determining the ultimate outcome.) The Lebanese state protects Hezbollah strategically and morally because it is impossible to attack Hezbollah’s base without also attacking the nominally sovereign state of Lebanon. Because the international ruling elite regards attacks on other states, especially weak states that themselves pose no threat, as morally wrong, the attacker quickly finds himself condemned and isolated. This, more than Hezbollah’s tactical strength, is why Our Greatest Ally’s attempts to attack Hezbollah on Lebanese soil have resulted in defeat, although Hezbollah is much better tactically than most other 4GW entities. ISIS may now attempt to revert to the Hezbollah model, but I think it is unlikely to succeed. That model requires years of patient development and serving rather than oppressing the local population, and I doubt ISIS is capable of either. The fall of its illegitimate caliphate will erode its ability to recruit and to secure funding, and like Al Qaeda it will become a wraith of its former self. But just at this point of success the West’s inability to understand Fourth Generation war will set it up again for failure. Western governments fall into the trap of defining their enemies as this or that particular 4GW bogeyman: al Qaeda or ISIS or Hamas or whatever. In doing so, they miss the forest for the trees. 4GW entities, Islamic or otherwise, come and go. Each particular entity matters relatively little. What matters is that they can generate themselves endlessly so long as we miss the real threat, in the form of the ground from which they all spring. That ground is the crisis of legitimacy of the state. As Martin van Creveld said to me many years ago, everyone can see it except the people in the capital cities. The origin of the crisis of legitimacy, in turn, is the emptying the state of its content, something the Globalist elite demands. This “internationalist” view has been dominant among the global elite since the end of World War I, and you cannot now dissent from it and remain a member of the elite. That is why the elite so fears and loathes President Trump, who represents the return of state sovereignty – and with it a resurgent legitimacy of the state. Such a resurgence is the only thing that can defeat not this or that 4GW entity, but 4GW itself at the decisive strategic/moral level. Does this make 4GW and the Globalist elite de facto allies? Draw your own conclusion. Whether you like or don’t like, agree or disagree, you cannot wish away what William Lind is saying. BY THE TIME the last cannon and matchlock were removed from the battlefield at Khanwa in March 1527, ancient India and its ideas had been long gone. At Khanwa, key kingly qualities described as essential by political theorist Kamandaka, too, had disappeared. It can be safely said that if Rana Sanga, the last credible Hindu challenger to the Turko-Mongol onslaught, had prowess (pratapa), his lack of energy (utsaha) and, more importantly, constant vigilance unhinged his plans. Kamandaka’s treatise Nitisara mentions these qualities as essential to being a successful king. Three decades after a humiliating military defeat in Afghanistan, Russia has returned to the scene. This adds Afghanistan to a long list of hotspots – from Syriaand Libya to Venezuela and Ukraine – where Moscow’s low-cost, high-impact foreign policy is challenging the West. In Afghanistan, the Kremlin is covertly supporting the Taliban and other groups, and hosting regional talks with Pakistan, Iran and China. And whereas Moscow was strongly opposed to the Taliban throughout Afghanistan’s civil war in the 1990s, it seems a U-turn is underway. Afghanistan would no longer depend on Pakistan for transit trade with the opening of the strategic Chabahar Port, a top Afghan leader has said. Chabahar Port, located in the Sistan-Balochistan province on the energy-rich Persian Gulf nation’s southern coast, lies outside the Persian Gulf and is easily accessed from India’s western coast, bypassing Pakistan. The port is likely to ramp up trade between India, Afghanistan and Iran in the wake of Pakistan denying transit access to New Delhi for trade with the two countries. China’s People’s Liberation Army Air Force (PLAAF) is starting to make headway in developing an expeditionary capability as Beijing continues its rise as a great power according to a new RAND Corporation study. While initially focusing on “non-war” operations involving airlifters, it is likely that the PLAAF will eventually develop robust expeditionary capabilities for its combat aircraft too. PLAAF fighter aircraft already deploy long-distances domestically and internationally and have trained abroad in Russia, Turkey and Pakistan, but China’s oversea combat aircraft deployments remain small compared to Western air forces. Who Swallows North Korea after Its Collapse? Mile by mile and person by person, North Korea is the most destabilizing nation on earth. The small, poor and isolated country is building nuclear weapons and intercontinental missiles. Americans who once felt invulnerable are worrying about the possibility of nuclear war. While most everyone agrees that something must be done about the Democratic People’s Republic of Korea, there is no consensus on what to do. Military action could trigger a destructive war, sanctions might do nothing or trigger regime collapse, and negotiations aren’t likely to result in the Korean Peninsula’s denuclearization. Many observers believe that the greatest damage Russia has done to U.S. interests in recent years stems from the Kremlin’s interference in the 2016 U.S. presidential race. Although there is no question that Moscow’s meddling in American elections is deeply worrying, it is just one aspect of the threat Russia poses. Under Vladimir Putin, Russia has embarked on a systematic challenge to the West. The goal is to weaken the bonds between Europe and the United States and among EU members, undermine NATO’s solidarity, and strengthen Russia’s strategic position in its immediate neighborhood and beyond. Putin wants nothing less than to return Russia to the center of global politics by challenging the primacy that the United States has enjoyed since the end of the Cold War. He has undertaken a major military modernization designed to intimidate neighbors and weaken NATO, and he has resorted to the overt use of military force to establish new facts on the ground—not just in what Moscow calls its “sphere of privileged interests,” which encompasses all of the former Soviet republics, but also further afield, including in the Middle East, an area where the U.S. military has long operated with a free hand. The understanding of the social contract seems to be shifting around the world. But for Russia, at least, the phenomenon is nothing new. The country has tried any number of variations on the social contract over the more than 1,000 years of its history. Leaders traditionally have resorted to autocratic rule to keep the unwieldy nation together, periodically introducing institutions, such as the secret police forces of Ivan the Terrible and Czar Alexander III, or reforms — like Alexander II's measure to emancipate the serfs — to maintain order. 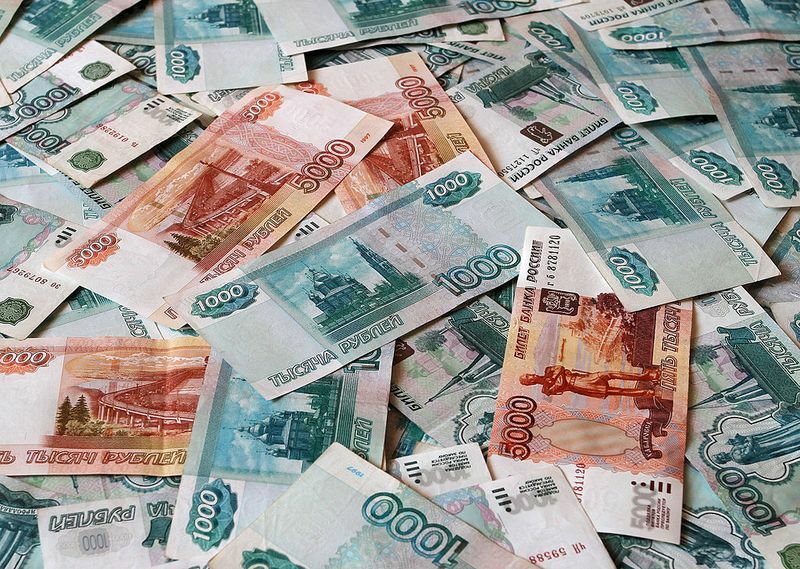 Over the past century, Russia's social contract has endured one experiment after another as the Russian Revolution, the Cold War and the collapse of the Soviet system transformed the country. The system has undergone so many permutations that today it is all but obsolete, and no rule is too fundamental to break. The globe’s richest 1% own half the world’s wealth, according to a new report highlighting the growing gap between the super-rich and everyone else. The world’s richest people have seen their share of the globe’s total wealth increase from 42.5% at the height of the 2008 financial crisis to 50.1% in 2017, or $140tn (£106tn), according to Credit Suisse’s global wealth report published on Tuesday. Albert Einstein was one of the most brilliant and influential mathematical physicists in human history. Even 62 years after his passing, he is still widely regarded as the prototypical genius. Albert Einstein was born on March 14, 1879, in the German city of Ulm. From an early age, Einstein was fascinated by mathematics, science, and music. While he would eventually go on to reveal the inner workings of the universe, Einstein struggled as a student, failed exams, and had dust-ups with authority figures. Do Young Humans + Artificial Intelligence = Cybersecurity? 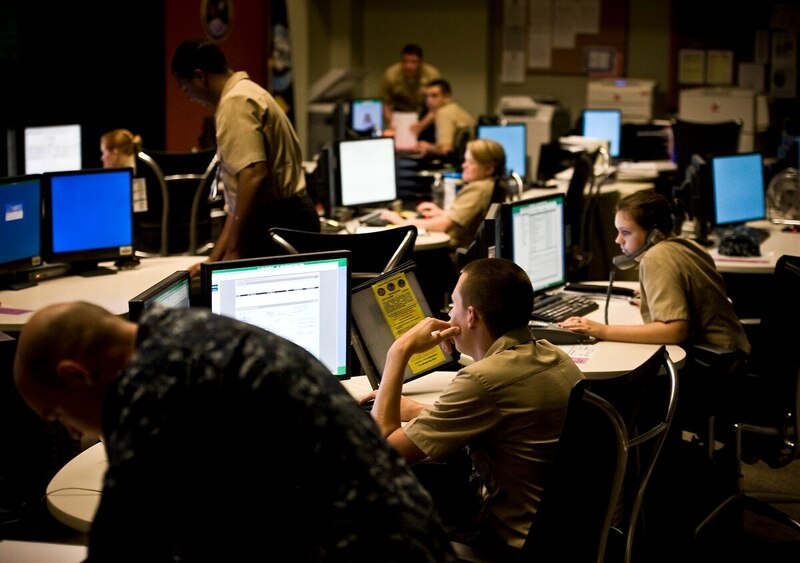 West Point cadets conduct a cyber exercise. WASHINGTON: The Army is recruiting smart young soldiers to wage cyber war. But human talent is not enough. Ultimately, say experts, cyberspace is so vast, so complex, so constantly changing that only artificial intelligence can keep up. America can’t prevail in cyberspace through superior numbers. We could never match China hacker for hacker. So our best shot might be an elite corps of genius hackers whose impact is multiplied by automation. More than 15,000 scientists from 184 countries have issued a warning: Mankind must take immediate action to reverse the effects of climate change, deforestation and species extinction before it’s too late. The warning, issued by the Alliance of World Scientists and published in the journal Bioscience, comes on the 25th anniversary of a similar warning from the Union of Concerned Scientists that was titled “World Scientists’ Warning to Humanity”. The new letter, however, has 10 times as many scientists endorsing it. Raytheon is developing disruptive technologies that are changing warfare, including innovations in such fields as cyber and electronic warfare. Jammers scramble communications. Cyber attackers sow confusion. Waves of hypersonic drones threaten a carrier group on the open sea. The future battlespace will be wrought with threats unimagined a few short years ago. How to meet them? With an array of innovations designed to maintain ‘overmatch’ – the fighting advantage that keeps the U.S. and its allies ahead of adversaries, now and in conflicts yet to come. Joint Force Headquarters-DoD Information Networks, or JFHQ-DoDIN, acts as Cyber Command’s defensive operational arm, providing global defense, command and control and synchronization of the DoDIN. Rear Adm. Kathleen Creighton, JFHQ-DoDIN’s deputy commander, who assumed the position in August, provided some insights into what her organization is working on during a keynote Nov. 14 in Arlington at the Defense Systems Conference. 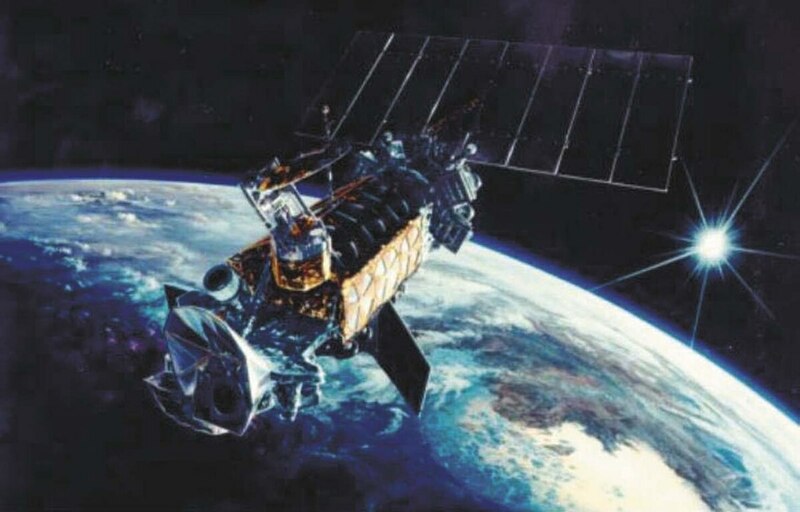 Is the US military prepared for cyberattacks on satellites? Securing military satellites against cyberattacks has become increasingly important as various ground-based threats raise questions about vulnerabilities in cyber resources on the ground, in the air and in space. The U.S. Army began to revise their security systems after an examination of combat networks revealed the branch’s cybersecurity wasn’t adequate against current enemy tools, Space News reported last month. The Army began the search for solutions to satellite jamming and holes in secure communication. 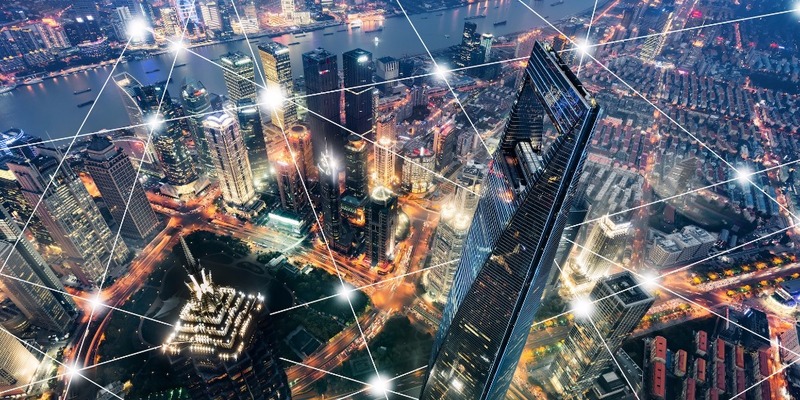 Increased protection was needed as other nations and non-nation combatants get ahold of more sophisticated tools that could be used to target satellites during cyberattacks.